Some of the firearms surrendered to Northumbria Police. 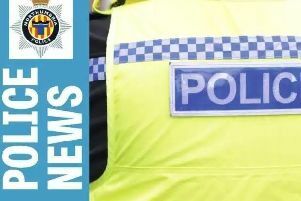 A total of 280 firearms – including more than 100 air weapons and a number of historical pieces – have been handed in to Northumbria Police as part of a national surrender. The two-week operation, which ended on Sunday, gave members of the public the opportunity to safely dispose of guns and ammunition. Northumbria Police received 280 firearms. Firearms received include a shotgun disguised as a walking stick, various pieces from the First and Second World Wars, an 1890 revolver and a small number of guns which had not been correctly deactivated. The initiative, named Operation Aztec, gave people the opportunity to hand in weapons and ammunition without facing prosecution for illegal possession. If it is suspected that prior to its surrender a firearm had been used in criminality offences it will be vigorously investigated. The surrender also encouraged the handing in of replica firearms, air weapons, BB guns and imitation firearms. These types of weapons can be very realistic in appearance, can be used in crime and are restricted depending on the circumstances. Chief Inspector Dave Gould, Northumbria Police’s lead for the surrender, said: “I would like to take this opportunity to thank the public for their support in making this a successful operation. “We are fortunate that within the Northumbria Police area we have a low number of firearm-related crimes. He added: “We will continue to use intelligence and a proactive approach to target criminal use of firearms. While the majority of items received will be destroyed, pieces of special interest or historical value may be retained in museums.